Congratulations to the Falmouth Yachtsmen on their 14th win this season. With Cam Guarino en route to his 7th win and 29th win overall in his 4-year, high school career. ​Falmouth defeated Wells 5-4 in a back-and-forth affair on Thursday. The game was tied at four with Falmouth batting in the bottom of the fifth when Griffin Aube hit a sacrifice fly to drive in a run. 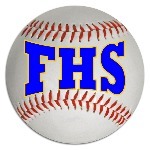 Falmouth earned the victory despite allowing Wells to score four runs in the fourth inning. Wells's big inning was driven by a walk by Tyler Carpenter, a single by Liam Bell, a single by Michael Wrigley, and a fielder's choice by Cameren Cousins. Falmouth took an early lead in the second inning. With one out in the second inning Ike Keilley drove in one run when he singled. Cam Guarino, who is 7-0 this season and 29-2 in his high school career, earned the win for Falmouth. He pitched six innings, allowing four runs, ten hits, and striking out eight. Robbie Armitage recorded the last three outs to earn the save for Falmouth. Tyler Bridge took the loss for Wells. He tossed six innings, allowing five runs, six hits, and striking out one. Max Fortier, Armitage, Griff Aube, Reece Armitage, Keilley, and Marcus Cady each collected one hit to lead Falmouth Yachtsmen Varsity. Falmouth Yachtsmen Varsity was sure-handed and didn't commit a single error. Garrett Aube made the most plays with nine.
."Powered by Narrative Science and GameChanger Media. Copyright 2017. All rights reserved." Any reuse or republication of this story must include the preceding attribution.